These activities can help improve dexterity in seniors. 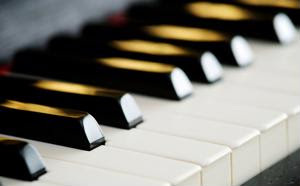 Playing many instruments, including the piano, flute or clarinet, involves very precise hand and finger movements. Learning one of these instruments or simply playing one for a few minutes a day can help seniors focus on the small motions. Clay is a great tool for improving both dexterity and finger strength, since it provides some resistance to form it into different shapes. Have your clients start with a ball of clay and mold it into different smaller structures like balls or strings using their hands and fingers. Flexing and stretching the hands and fingers can increase the blood flow, making the fingers less stiff and easier to use. If your clients are having dexterity problems, try having them perform a few hand and finger stretches, and see if it helps. Sewing by hand involves very precise movements along with grasping and maneuvering very small items. This is a great exercise for helping seniors practice their dexterity, though some seniors may find it too difficult.